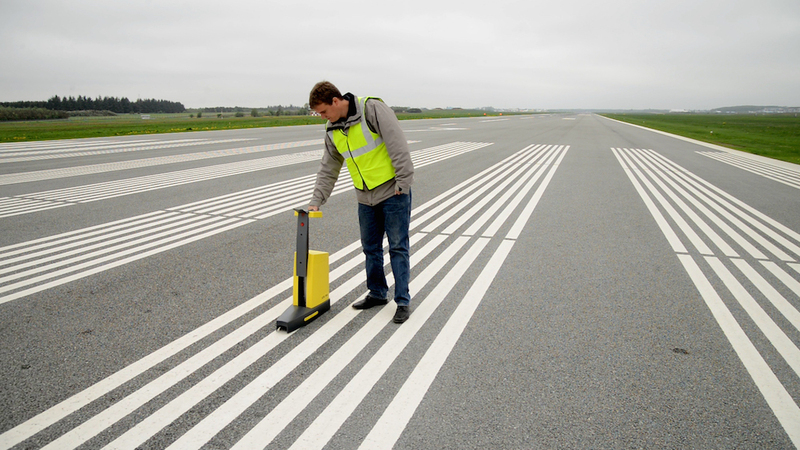 Checking the performance of pavement markings and traffic signs are import to ensure safe traffic flow in the airport. At night-time the traffic flow is fully or partly dependent on markings for safe driving and especially under wet and rainy conditions good performing markings may be crucial for guiding drivers and pilots on their way through the airport. Besides, regular checking of the performance of pavement markings and traffic signs allow an airport to optimize maintenance tasks by only restriping or changing signs when needed. DELTA is the globally leading supplier of retroreflectometers for measuring retroreflection of pavement markings and traffic signs for roads and airports. DELTA is known since three decades for high quality and user friendly retroreflectometers – our brands: LTL2000, LTL-M, LTL-X, LTL-X Mark II and LTL-XL for pavement markings and RetroSign GR1, GR3 and GRX for traffic signs. LTL-M is the state of the art mobile retroreflectometer for pavement markings. LTL-M measures at traffic speed and thereby ensure fast measuring, which can be valuable in especially busy airports. LTL-M offers a high degree of flexibility and easiness in relation to installation, calibration and operation as well as a high level of accuracy when it comes to measurement results. 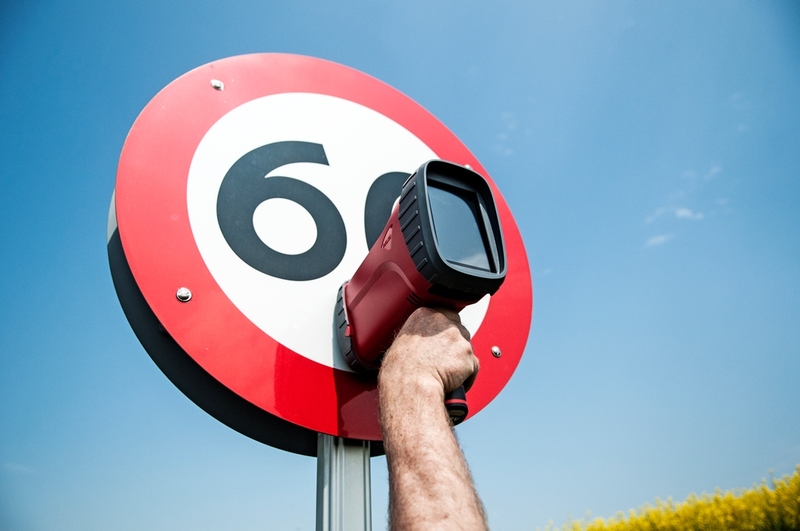 A recent launch is the RetroSign GRX retroreflectometer for traffic signs. GRX is the most modern and advance instrument in the market offering many features of which some have not been seen in such instruments. DELTA is an accredited calibration laboratory offering calibration references which can be traced back to globally leading calibration institutes. All DELTA’s instruments comply with international standards when it comes to performance, user safety and EMC emission. 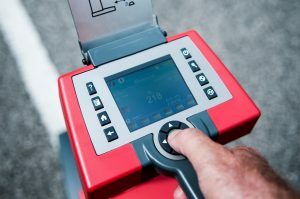 DELTA’s retroreflectometers are made for professionals and are used typically by road and airport authorities, contractors, sign manufacturers and service providers. The LTL-X Mark II and LTL-XL handheld retroreflectometers for white and yellow pavement markings are third generation instruments. Both instruments measure night visibility, RL, of plane and profiled markings, LTL-XL in addition daytime visibility, Qd. Both instruments can measure retroreflection of dry and wet markings, LTL-X Mark II as well under continuous wetting (natural or artificial rain). The instruments come with a choice of menu languages and are simple and easy to calibrate and operate. The instruments automatically store measurement results, have automatic ambient light compensation, allow for entering a user and marking ID, offer automatic average calculation and record temperature and relative humidity. The instruments operate with a reproducibility of +/- 5% and a repeatability of +/- 2. After the measurements are finished, the results are easily transferred via USB connection to a PC and can be presented as data or visualised on Google Earth. The instruments are offered as a base unit model and can be added features like built-in GPS, built-in thermal printer, extendable handle for more ergonomic working height and wheels for rolling of the instrument between measurement locations. The LTL-M mobile retroreflectometer is based on a patented technology making use of a DELTA developed flash system, digital camera technology and real time digital image processing. 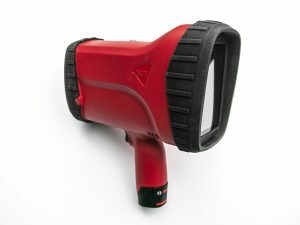 LTL-M provides “true visibility” data as the system is able to measure 100% of the marking surface at a speed up to 90 kph / 55 mph. Measurement at higher speed is possible. The main advantage of LTL-M is to ensure accurate measurement data under all measurement conditions through automatic compensation of movements in the vehicle during driving. This has been confirmed in independent test studies showing LTL-M to measure as accurate as a handheld instrument, i.e. with a typical repeatability of +/- 3% and a typical reproducibility of +/- 5%. 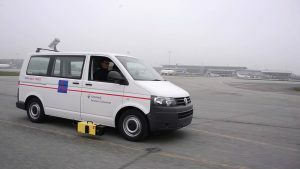 The LTL-M system consists of three main parts: The LTL-M sensor mounted on one side of the vehicle; the LTL-M processor located inside the vehicle; the LTL-M tablet for preparing the LTL-M system for measurement, monitoring during measurements, viewing the logged data and preparing data for transfer to a PC. The tablet operates wireless. LTL-M is simple to install, calibrate and operate. Preparing the LTL-M system for measurement can be done within 15 minutes including the recommended once-daily calibration. 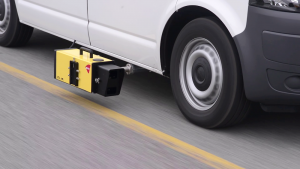 If more vehicles are used for measurements LTL-M can easily be rotated between the vehicles. The LTL-M system can be operated by one person if local laws permit. The output by LTL-M can be viewed as figures, as a graph and as a Goggle Earth display over an average distance chosen by the user after measurement has been finished. 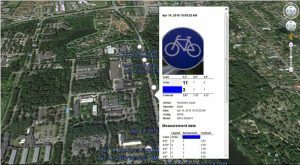 RetroSign GRX is a new instrument launched in September 2016 for measuring retroreflection of traffic signs. The instrument is offered in three base models: GRX-1, GRX-3 & GRX-7 where the digit in the name tell the number of observation angles active. RetroSign GRX is the most advance instrument on the market currently and still very easy to calibrate and operate. It adds new features allowing users to carry out a more complete measurement program. RetroSign GRX offers up to 7 observation angles, which can be measured simultaneous: 0.2o; 0.33o; 0.5o; 0.7o; 1.0o; 1.5o; 2.0o. The different observation angles will show how drivers and pilots in vehicles and airplanes of different height will view the signs. 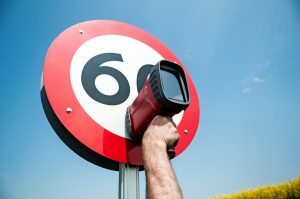 RetroSign GRX is based on point aperture geometry which allow the instrument to detect if direction sensitive retroreflective sheeting has been applied correctly on a traffic sign. RetroSign GRX offer many feature like: Automatic color recognition, picture of sign, background and legend color retroreflection and contrast, scanning of barcodes and QR codes for asset management, instrument tilt and rotation MUTCD sign library and much more. The sign library will allow the GRX to instantly tell if a measurement has passed or failed based on the reference library. The instruments operate with a reproducibility of +/- 5% and a repeatability of +/- 2%. The instrument is automatically compensating for ambient light so that daylight and other outside light sources will not affect the accuracy of a measurement. Data is transferred to a PC by USB or to a tablet by WiFi. Data processing and presentation is done in existing software like Excel and Google Earth. The GRX App and tablet solution can be used for on-location data processing and presentation as well as send data instantly to the company back office for processing and storage.